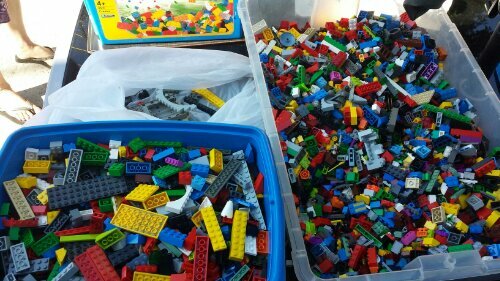 My sons are now 15 & 17 and have moved on from lego. So why link it to pedagogy? I am always looking for chances to allow creative learning and let’s be honest learning through play. I teach mainly 11-14 year olds and I look forward to all the ways we can use it this year to illustrate points. 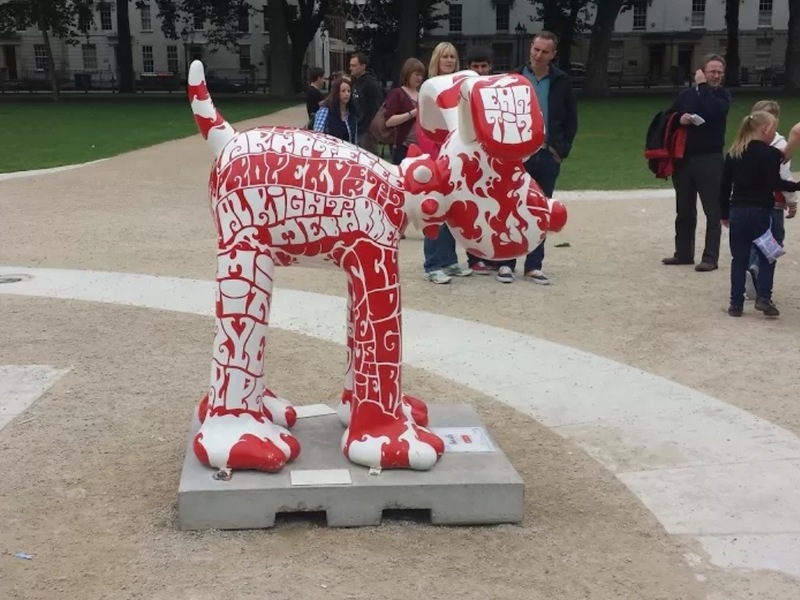 Well, return home day arrives and like the journey down we decide to split the journey, as some fellow tweeters are meeting for the #Bristoltweetup and a Gromit hunt. Now if your response to that is what is a Gromit? In this case it is the plasticine dog sidekick of Wallace from Aardman animations led by Nick Park. A popular duo in our house and my Wallace and Gromit tie always gets a positive response in class. 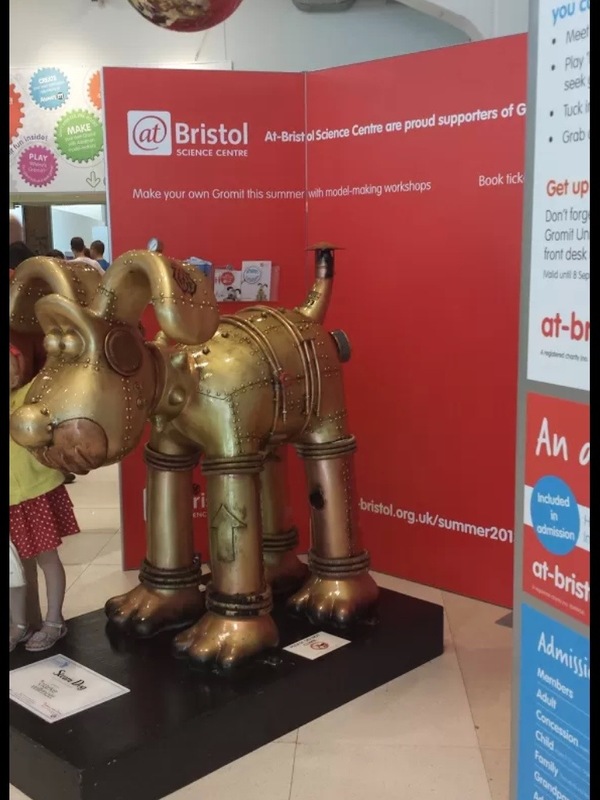 The #Gromitunleashed trail is a fund raiser for children’s hospitals in Bristol and conveniently on route from Devon to Essex. We left Bideford just before 9 and after Barnstaple the A361 and M5 were both very busy with holiday traffic in both directions. 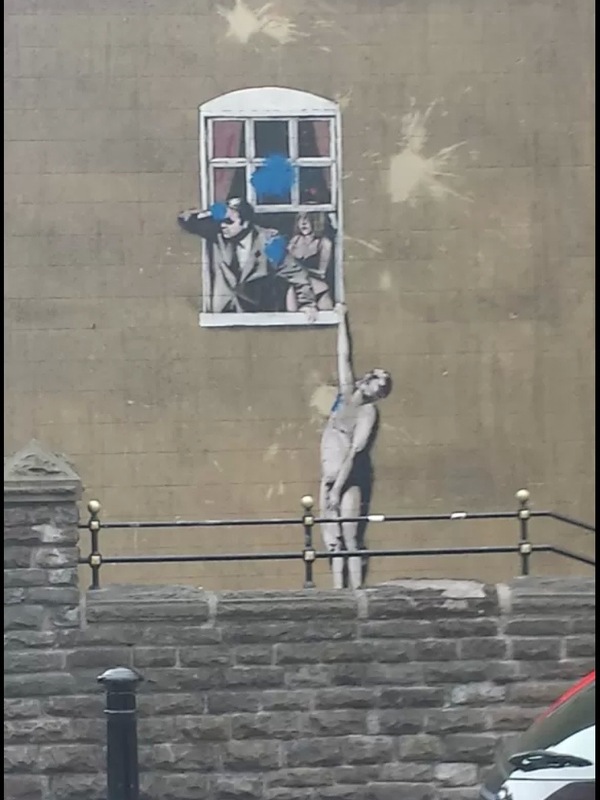 We were aiming for a 12 noon meet up at the Anolfini Art Centre in the docks area of Bristol. We were in Bristol earlier but then had fun with the city centre which included extra driving, but we got to see the Clifton Suspension Bridge to. By 12 we were parked, had seen 3 Gromits already and met the others outside the centre. 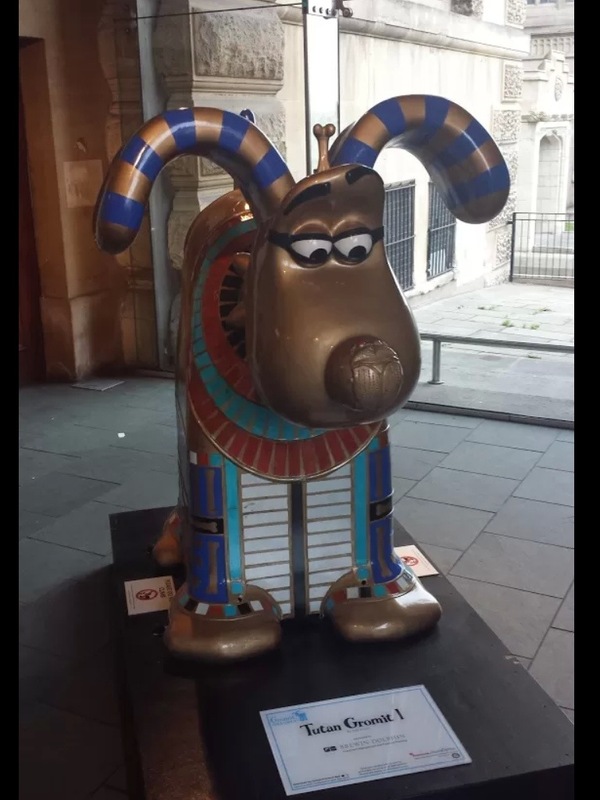 The intention was to use the Gromit app I had purchased to use on my phone (android) and iPad (apple) as both cost 69p which went to the charity fund. 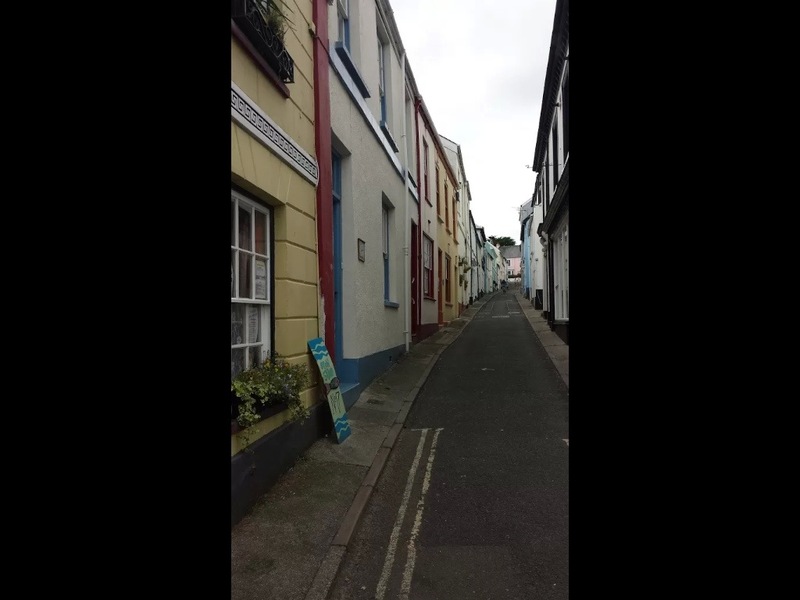 The most amusing bit had been when I set off the app in various shops, streets and cafes in Devon and triggered the Wallace and Gromit theme tune. 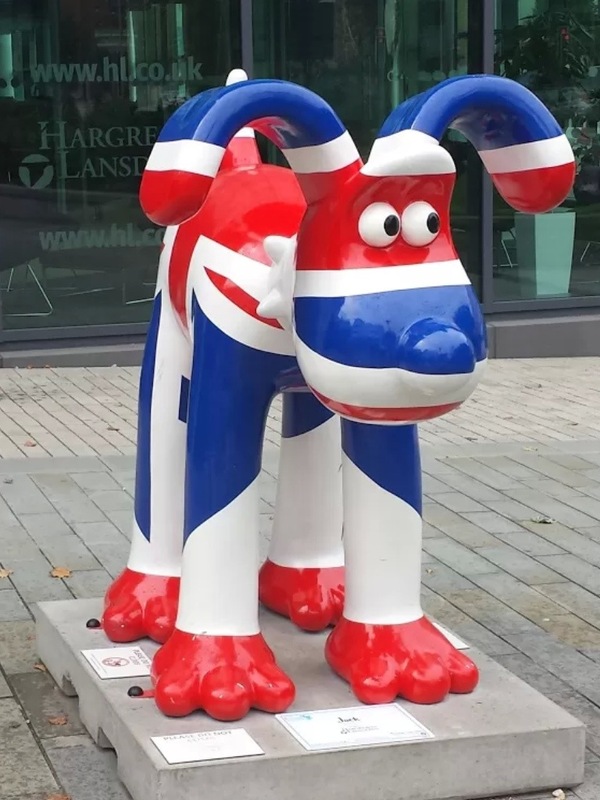 I had looked at several of the Gromit designs beforehand but had rejected planning a route prior to the day and decided not to find the gromits in Cheddar Gorge and other locations on route. 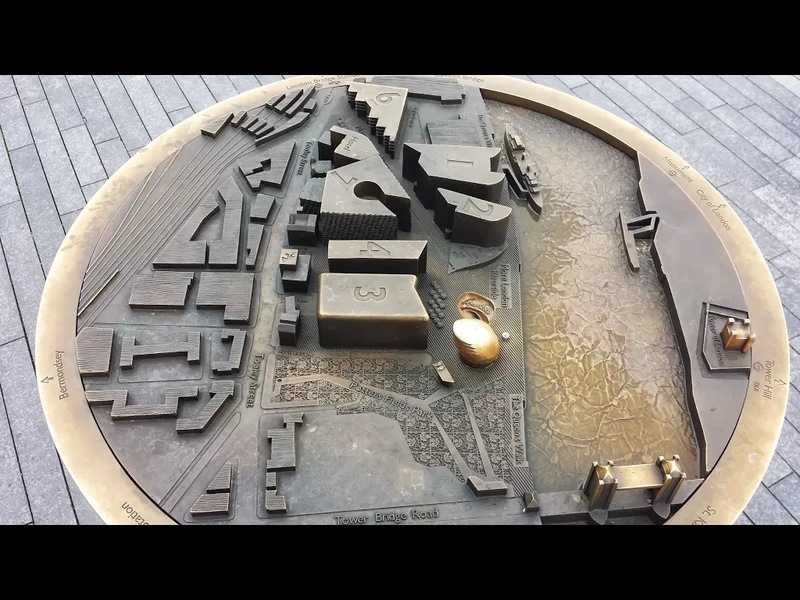 The Find a Gromit option uses GPS to plot the Gromits on maps and as you approached the location the distance was given and when you saw it you could click on “Found you” and a tally of your finds was revealed. Great help but it used battery time up and was one of the factors stopping our hunt when we did. I was impressed that the Gromits were close to each other in the case of the ones we found, although some were outside and others in buildings. I am going to present each that we found with some information about its location or finding. 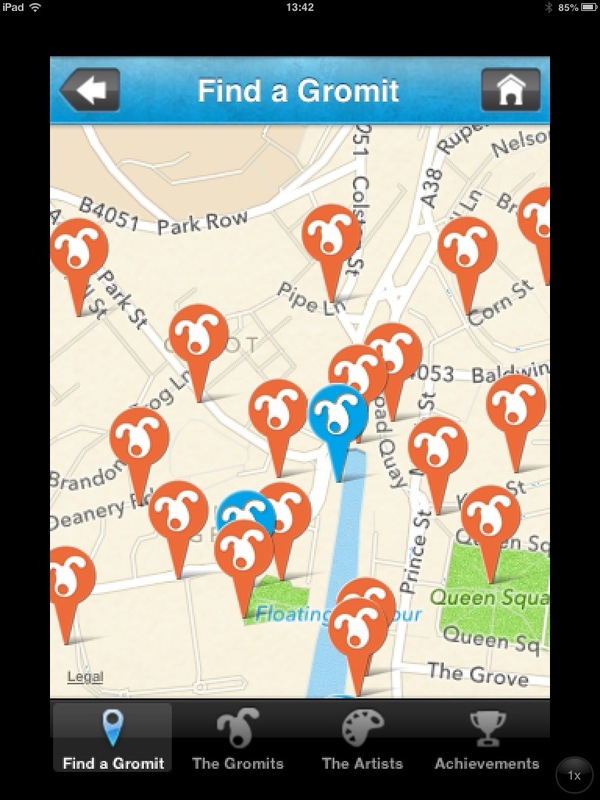 If you want to know more about the individual Gromits buy your own copy of the app. After all this is for charity. 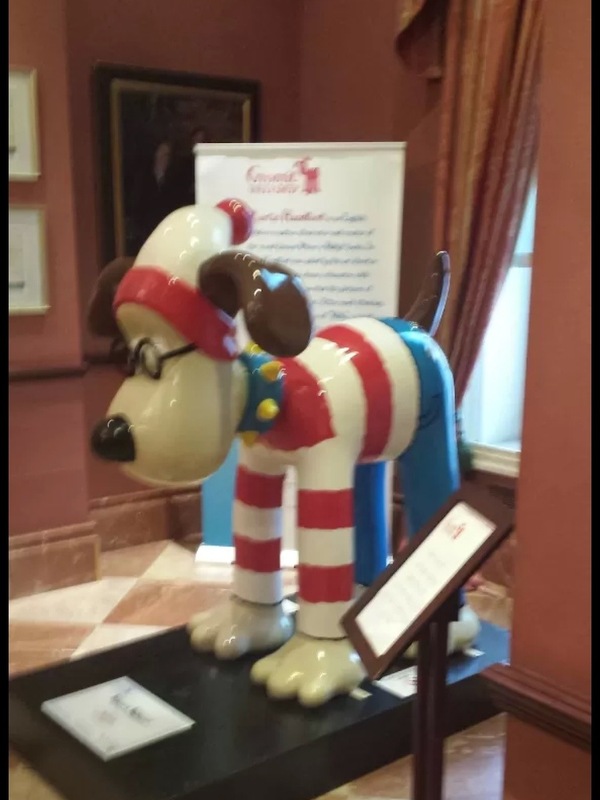 Our first was The King – easy to spot as there was a crowd with several holding paper copies of the map and people taking pictures of Gromit and/or members of their group or family. It became an issue sometimes to get a picture when other people’s children were not in the picture. Just behind and to the left of The King was Carosello, a much more colourful design. One regret was not spending enough time reading about each design in situ before rushing off to find another. Across the water/ canal was another – some observation here to find the nearest bridge. What a Wind Up! with a design by Trevor Baylis CBE, he of wind up radio fame. Back to meet the others, we crossed the canal and made our way to Anolfini via Bark at Ee apparently including aspects of Bristol slang. Onwards, on the quay outside the centre was Zodiac, the name and picture say it all. Inside the centre was Hound Dog a second reference to Mr Presley. Cookies and coffee and a bit of tweeter chat then off out into impending rain as forecast? No, it drizzled but no more than that. We crossed the footbridge into the developed area of the docks- retail, attractions, public square with big screen and water features and new flats. A cluster of Gromits but some thought needed as several were inside buildings. We started with Fish Tales at the Bristol Aquarium. Around the corner to the road to discover the patriotic Jack. Back into another building this time @Bristol for Steam Dog. Another place to explore on a future trip. Out into the public space to find Wallace and Gromit playing on the big screen and a reflective globe. Almost missed out Astro – apologies Astro. Then we are off to Gromit-O-Matic based on the idea of blueprints and the local industrial heritage which is all about you. A paws for Knilly lunch and then off again heading for the library. No sign of Gromit outside so we went in and a poster directed us to the children’s library and The Gromalo. A range of public buildings of different ages now, there should be two Gromits here – the first Poetry in Motion (note wheels) was not where the app mapped him but found anyway. There should be another here – at first we took the wrong turning then we saw lots of maps clutched by families emerging from the Marriott Hotel. In we went to find Where’s Wallace? 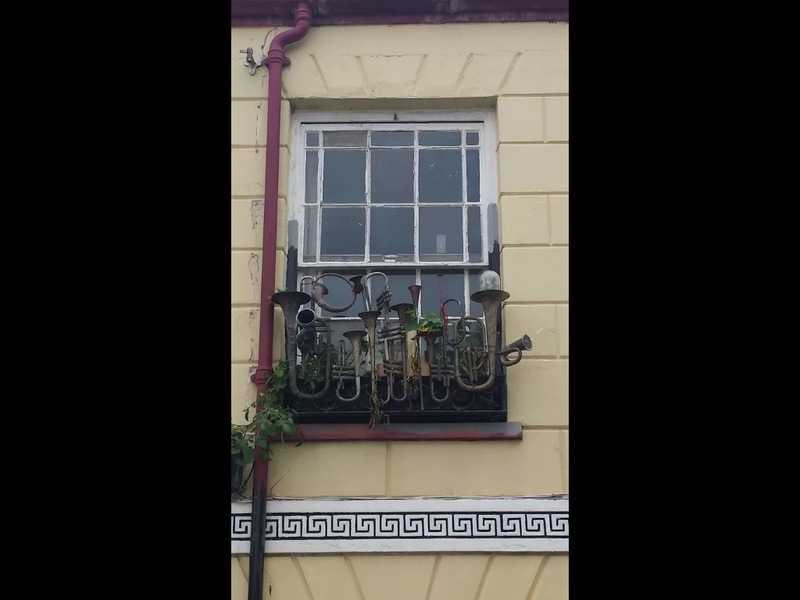 We were now faced with a walk uphill and a choice of directions we took a side road to find cars, bikes and pedestrians converging on St. George’s where a child was posing in a dress up knight outfit next to Sir Gromit of Bristol – a noble idea. More hill and we head for the museum that contains two Gromits. In the entrance is Tutangromit I a clear link to the Egyptian galleries inside. 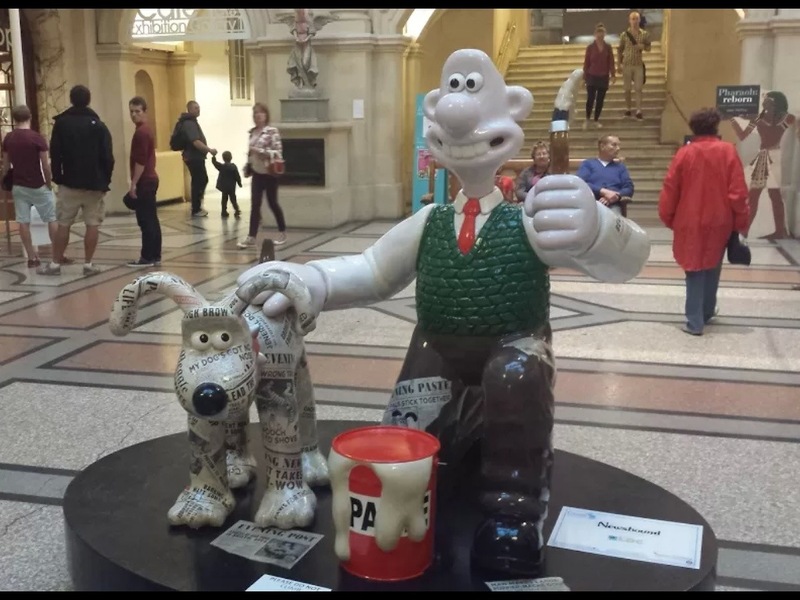 stands Newshound by Nick Park CBE himself, not only do we get Gromit but Wallace to. Young Knill is tiring but agrees to three that are nearby before we head backdown to the car park. Around the corner and a clear group in front of a wooden surround. 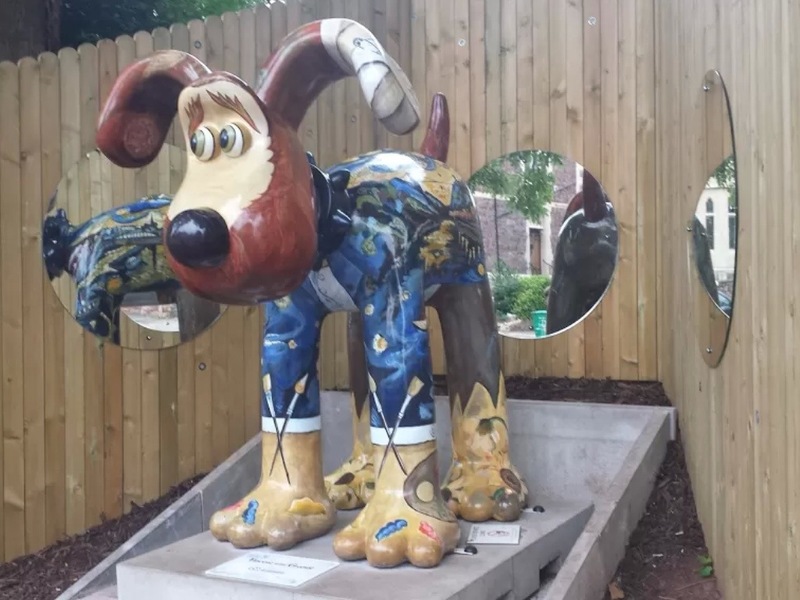 It’s Vincent Van Gromit with mirrors to help you see the decoration on his blue jacket. Inside the Arts Academy we find Bushed (topiary inspiration!) and explain the two bemused ladies waiting to go in why we are all rushing around Bristol. 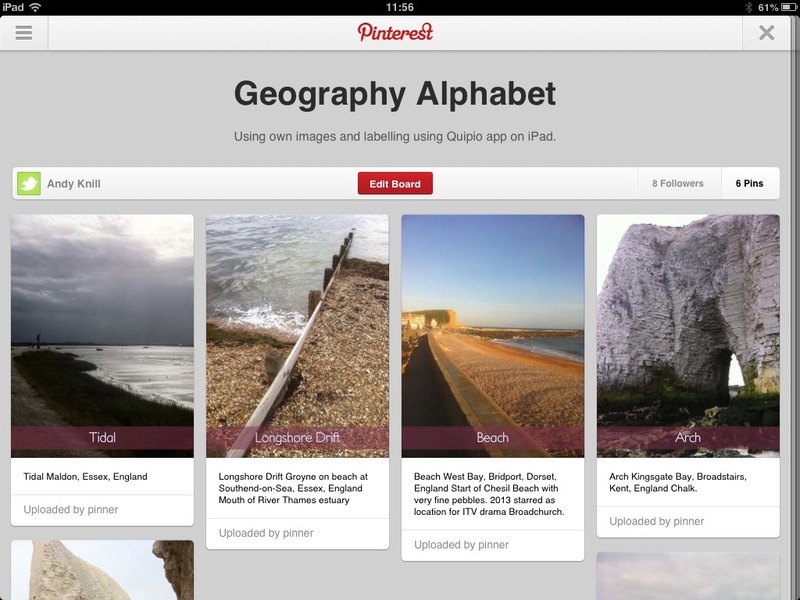 Last one (up here I neglect to add) is Golden Gromit – in the app Julie Vernon cites a number of inspirations. 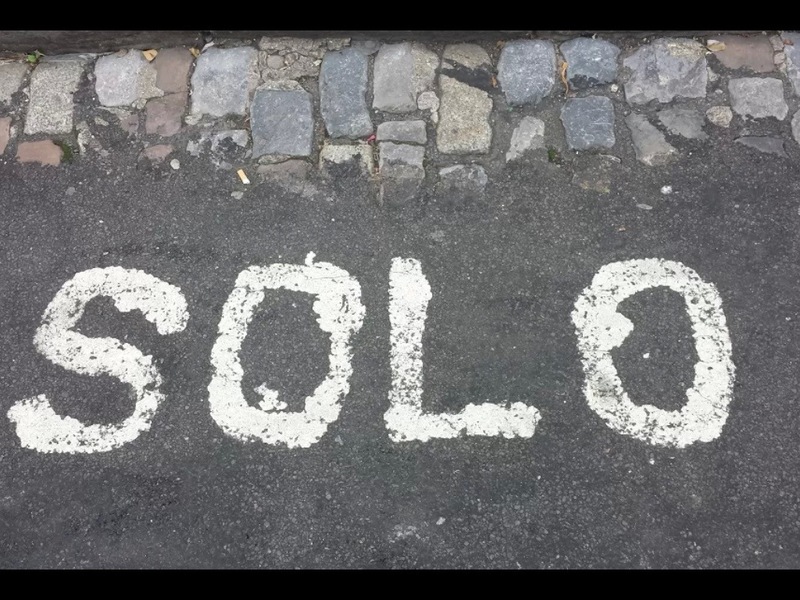 We descend back towards the harbour, for regular readers who know about my interest in Solo Taxonomy, Mrs K spots a road marking- failing battery, phone back on another pic. Ooh look just a couple of extras …I seem to have got away with it. Salty Sea Dog not escorted by the Pirate Tours we had seen earlier with their hearse. Then Hero who is in front of a great painting of the dynamic duo to. One more I promise … Butterfly in the foyer of the Old Vic, but to get there we have to circle the hoarding for the Al Fresco theatre outside where a performance is in full flow. and that’s it … Back to the car, quick map perusal and we’re off. The rain arrived as we drove but a good 2.5 hour stint back to Essex. Unpack the car and ressssssttttttttttt. 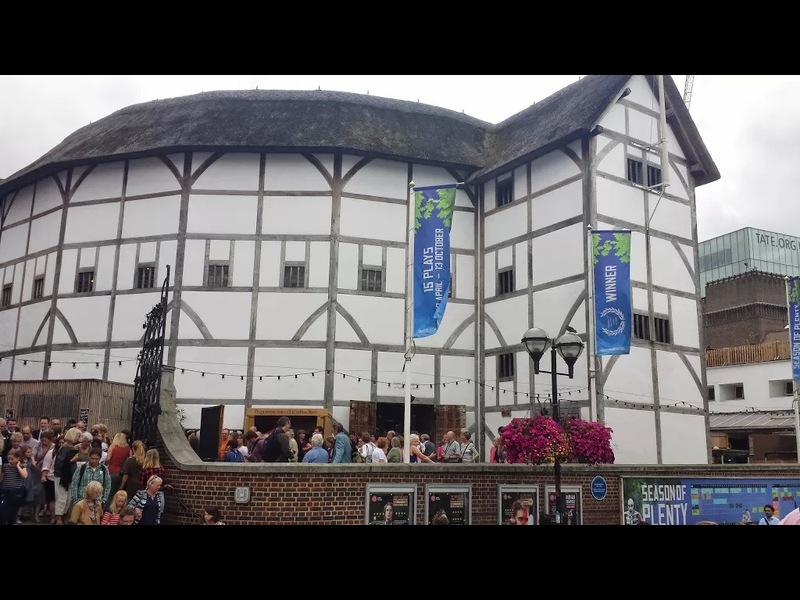 Yes I would love to go back – a great activity for families and all ages. 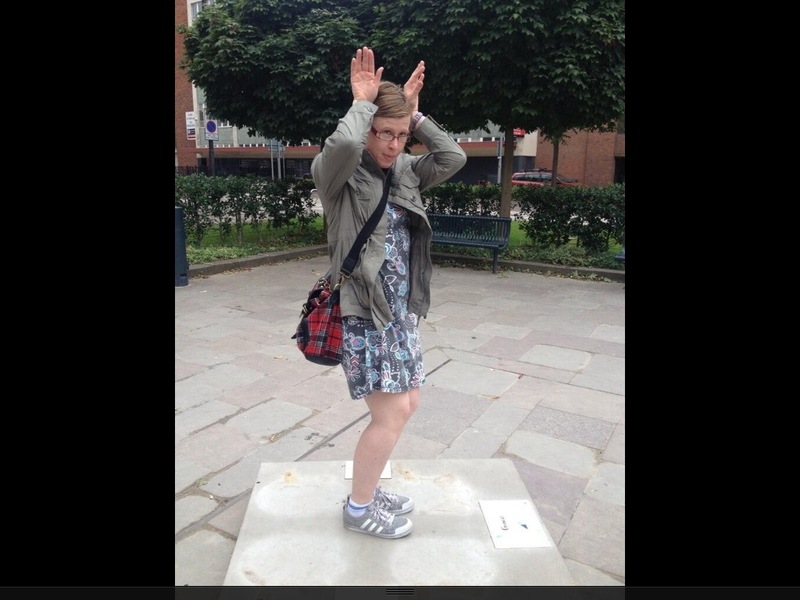 Friends from the Tweetup posted their pics my favourite has to be one who will remain nameless doing. Their Gromit impression. A week in the …. 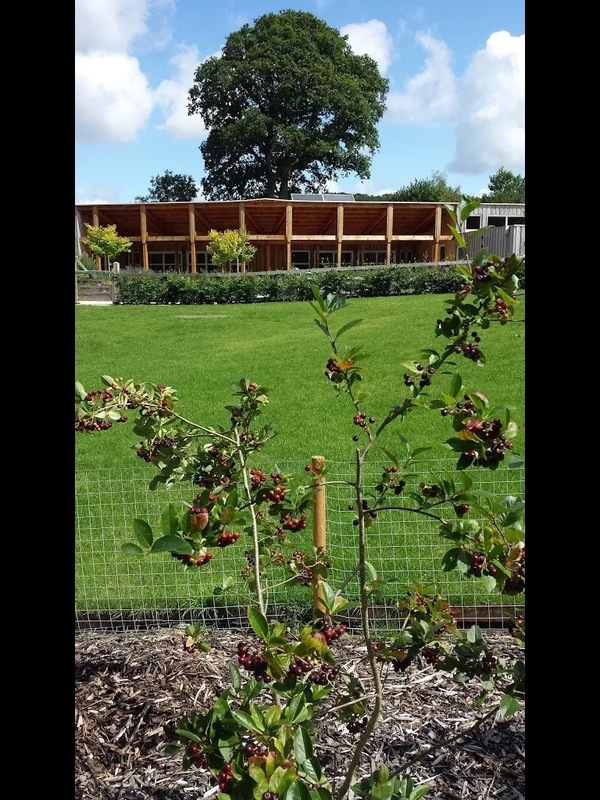 has become a series of posts about my summer holidays 2013 and how I have done different things to relax and refresh for the new school year ahead. At the end of term we booked a cottage late in Devon. The first time just three of us would go as eldest elsewhere. 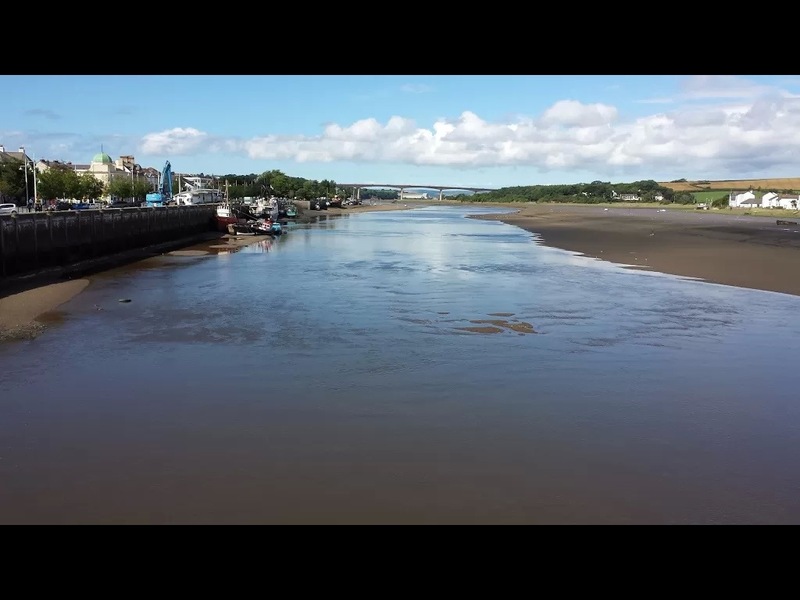 We were torn between Appledore and Bideford in North Devon. We chose the latter and found Allsorts, a fisherman’s cottage in East the Water backing onto the River Torridge. 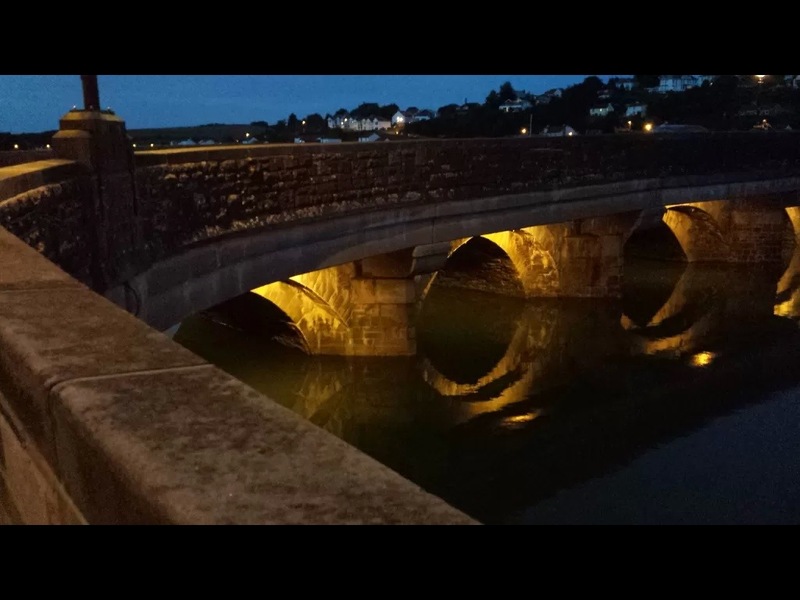 We would be near the old bridge, a 2 minute walk into Bideford. 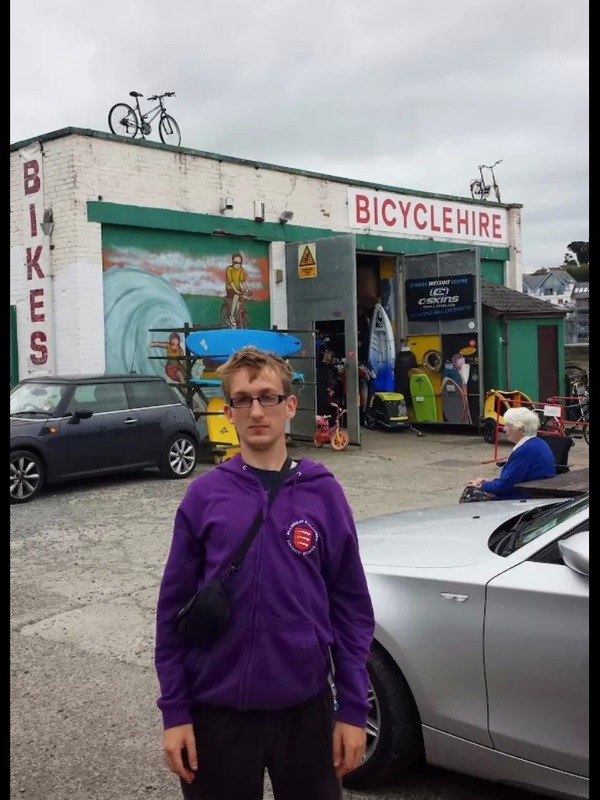 At the end of the street a bike and kayak hire centre and within a minute, the Tarka Trail and a heritage railway centre and star of the James May model trains toy programme, oh and two model rail shops in Bideford (railways being a “specialist” subject for our youngest son. So, as is the routine for our family holidays of recent years an early start to avoid some of the traffic and a chance to do some activity before we could get into the cottage. We were up and on the road just after 05:30am. M25, M3 and what has become a tradition – packed breakfast at Fleet services. Traffic had been light so far, onto the A303. 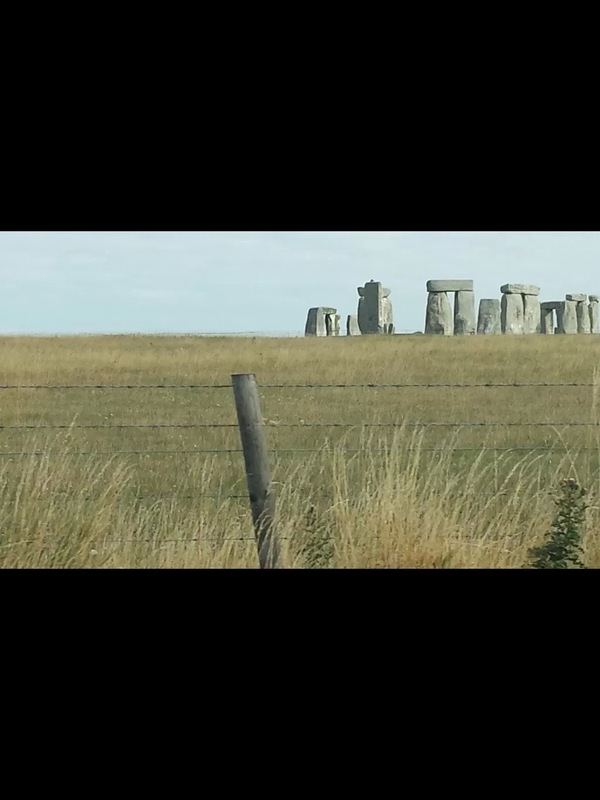 Things slowed as we approached the ‘henge and the pad we had used on previous journeys was now no more, but some good pics from the car. We headed further south – my choice to follow a nicer cross Devon route. However, SW traffic was building and the speed slowed. 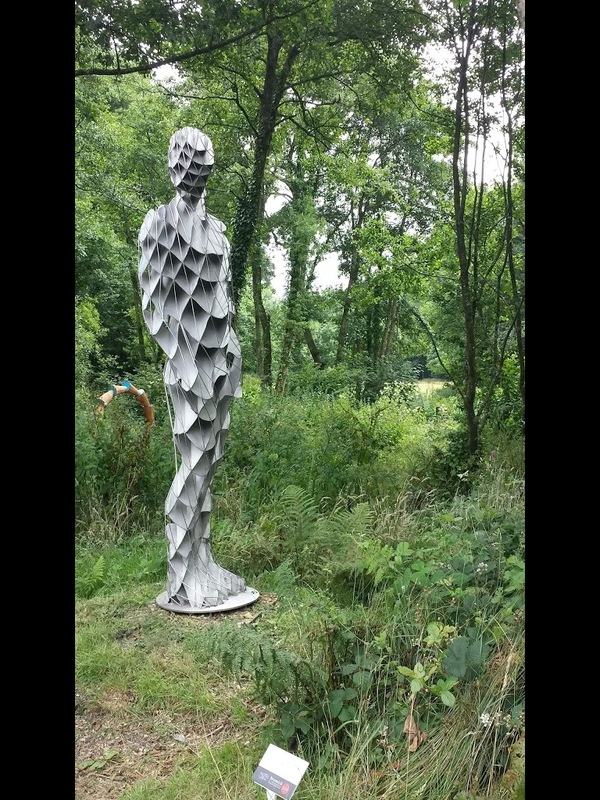 Our destination was Broomhill Art Hotel and sculpture garden that was a popular visit on a previous holiday in Croyde. 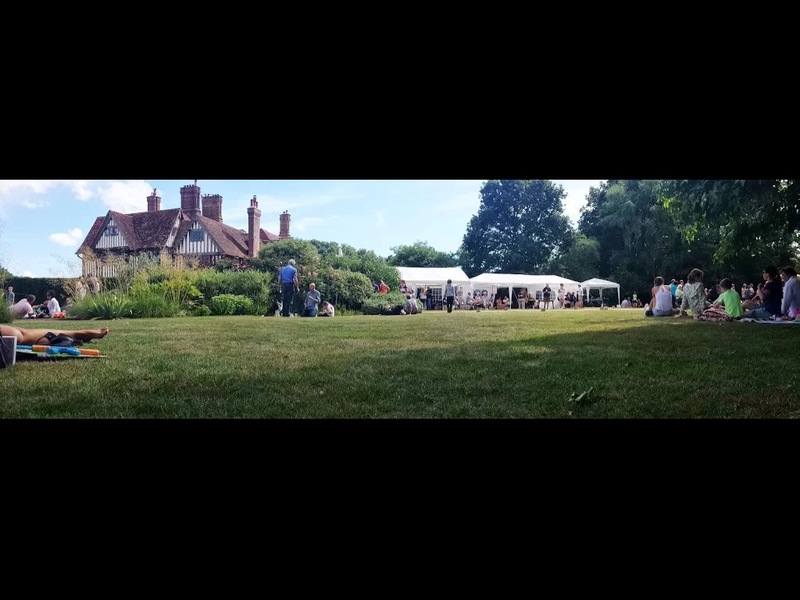 Some food first then a wander around the gardens, some changes in the sculptures and position of some plus the National Sculpture Prize nominees and previous winners. These photos are representative of some of the work seen. 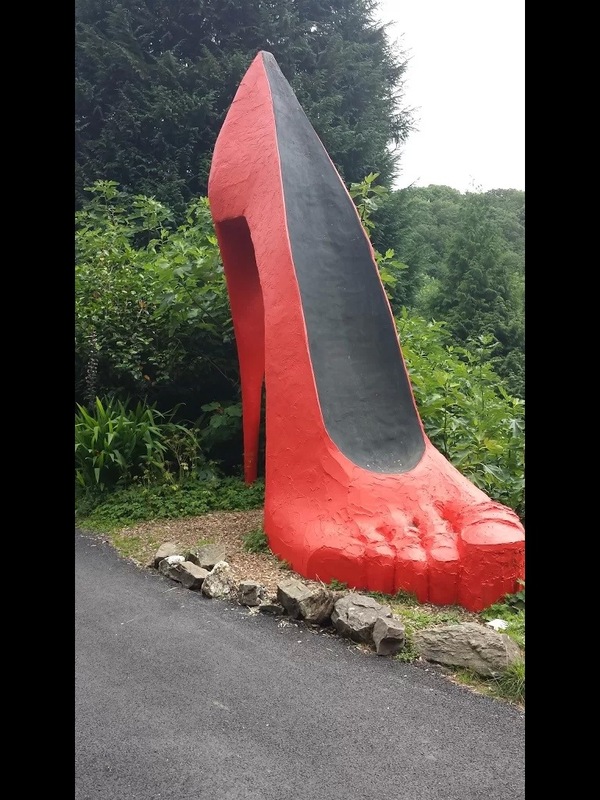 The shoe welcomed us as it did on our previous visit. The last was our chosen vote for this year unanimously. 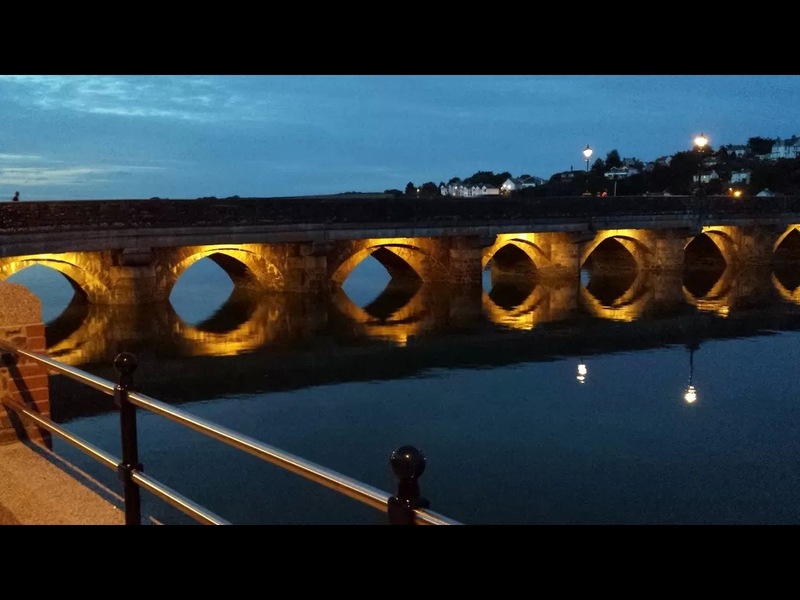 We then drove onto Bideford. 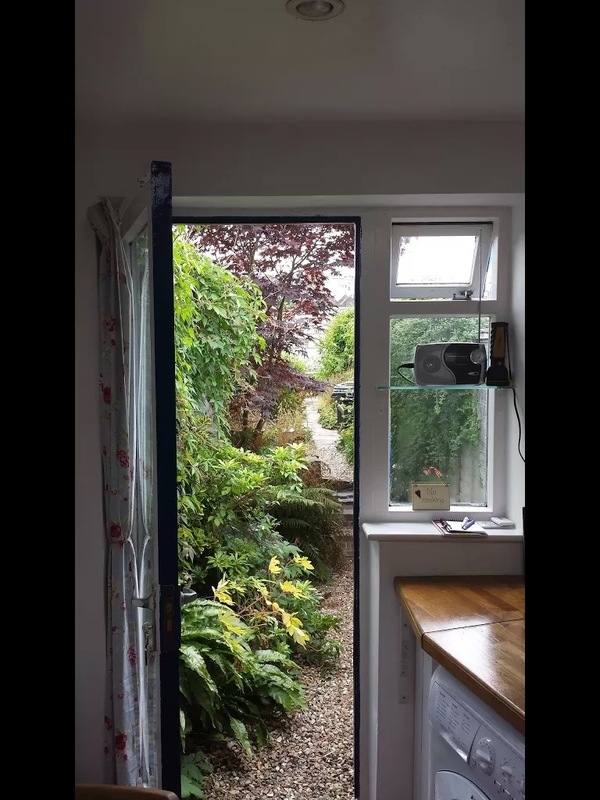 The cottage is small but very welcoming and soon we were settled with a mug of tea and the door open to the garden. 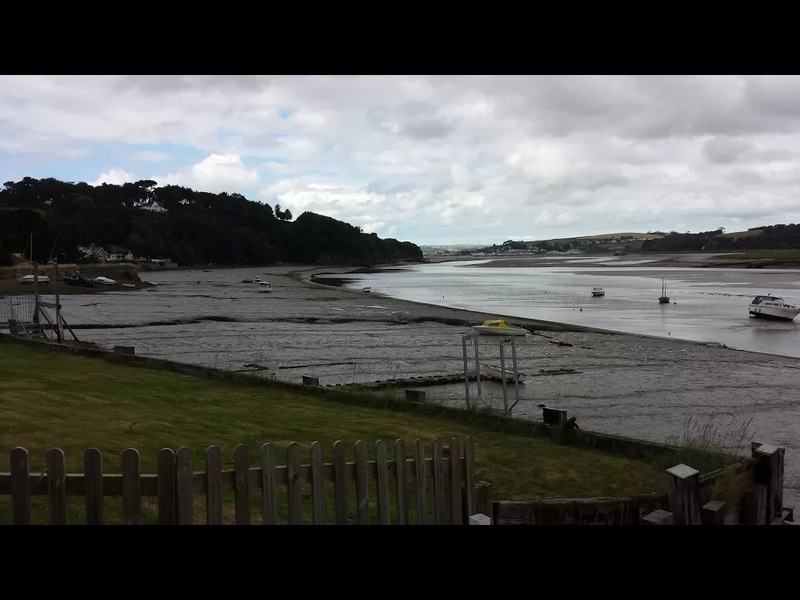 Our first full day saw us walk to Appledore along the SW coast path. This is covered in a previous post. The views of the river were great and the sun kept us warm. 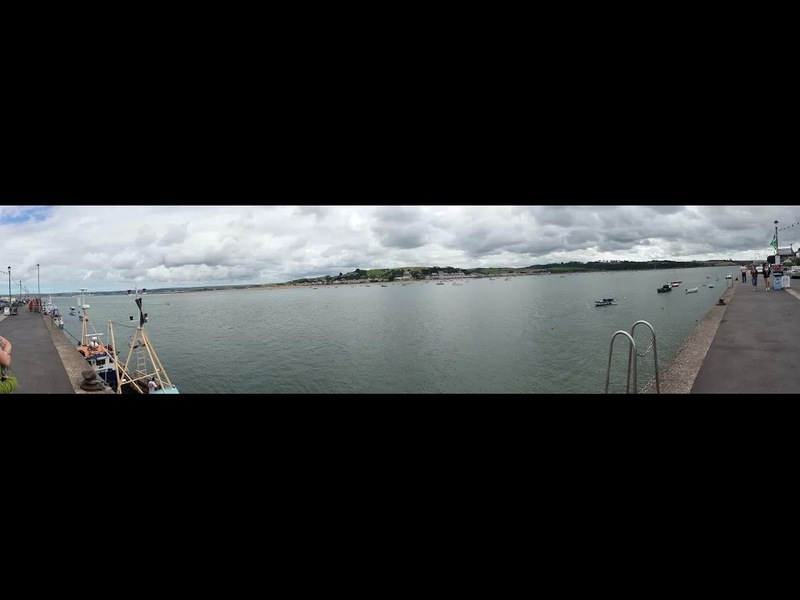 We left Appledore before the afternoon’s carnival. On an evening walk we saw the bridge lit up and took some pictures. 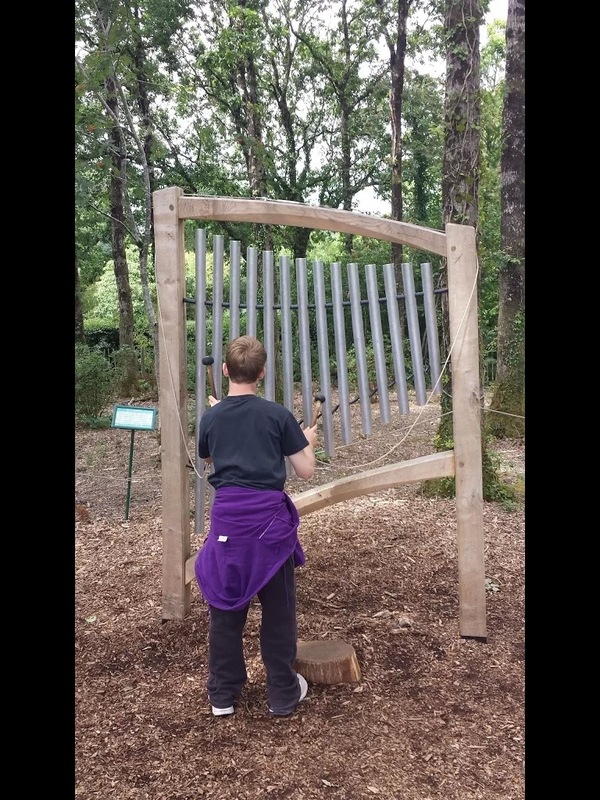 We drove to Rosemoor RHS gardens at Great Torridge. Our limit was to not drive far for visits. 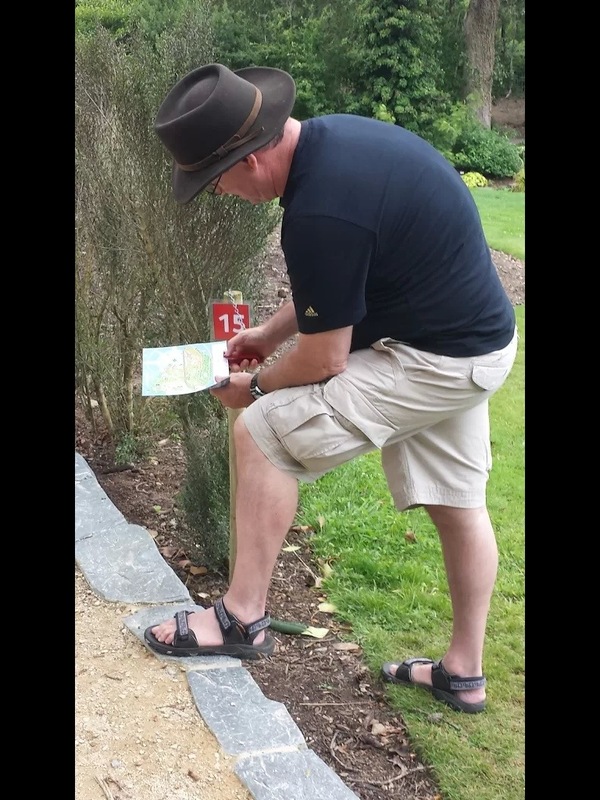 The gardens offered an orienteering trail which I followed as a keen geographer / big kid! All three of us enjoyed the visit with a variety of settings and many plants. This shows the back of the education centre / open classroom. 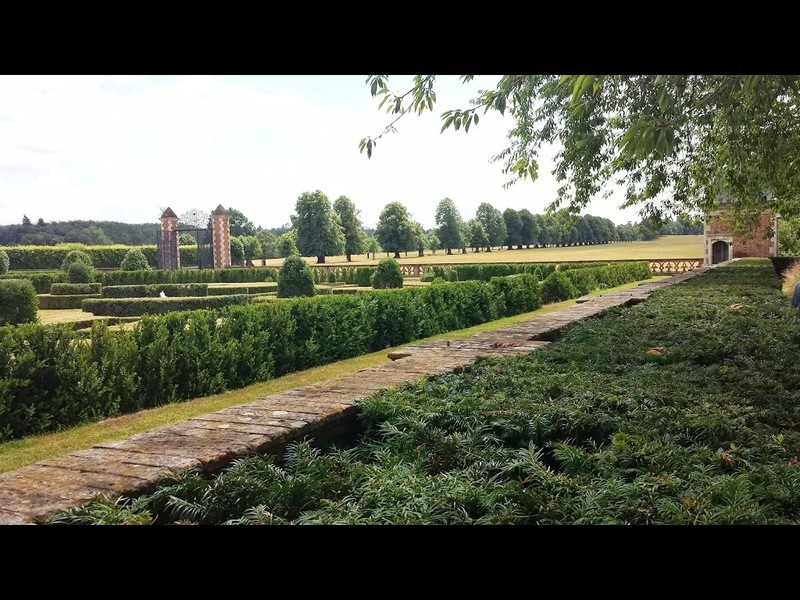 A favourite, the formal hot garden. The garden contained a wide variety of butterflies and insects. A variety of water features. 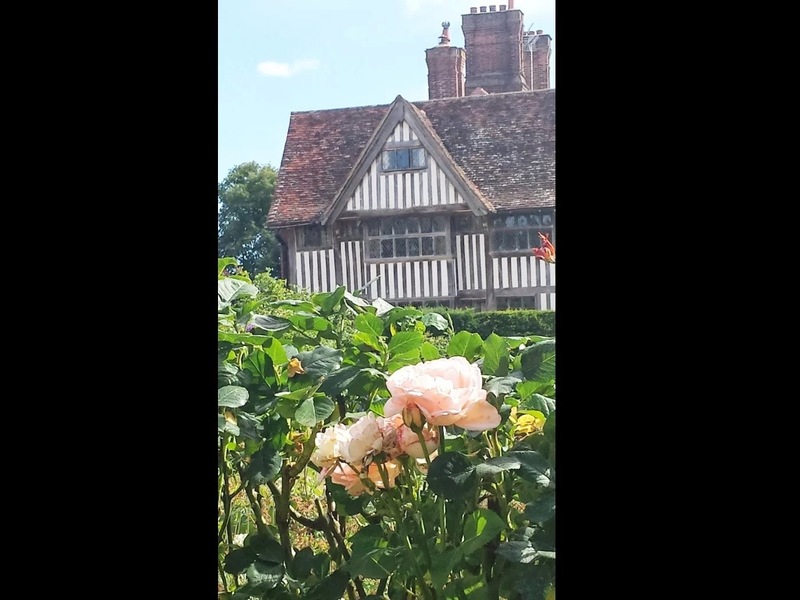 Buildings favoured for weddings- a truly romantic setting. 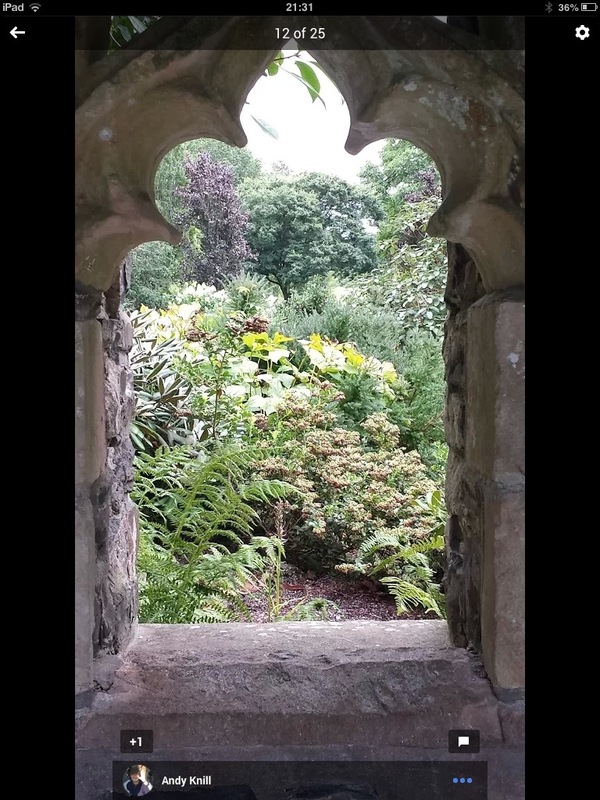 The original gardens are reached through a rocky gorge. Play areas included seating, musical instruments and structures for play. In the evening we ate out – returning to Mr Chippy, as most places were shut on a Monday evening. Not popular with Mrs K as it meant chips again. We realised that we had walked for a further 2.5 hours today. 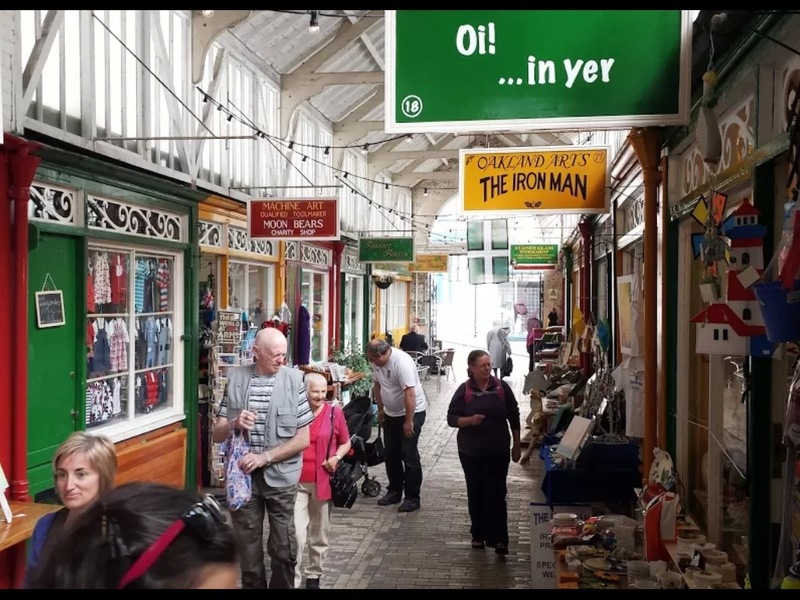 Full breakfast in Bideford and then some shopping time in town including model railways for one member of the family and a visit to the Pannier market. Not a pannier in sight and a parade of craft and other shops. PM when the weather was forecast to improve it was cycle hire time. It was raining again lightly so Mrs K changed her mind. Knill major and minor set off towards Barnstaple. A wobbly uncertain young cyclist who gradually gained more confidence. 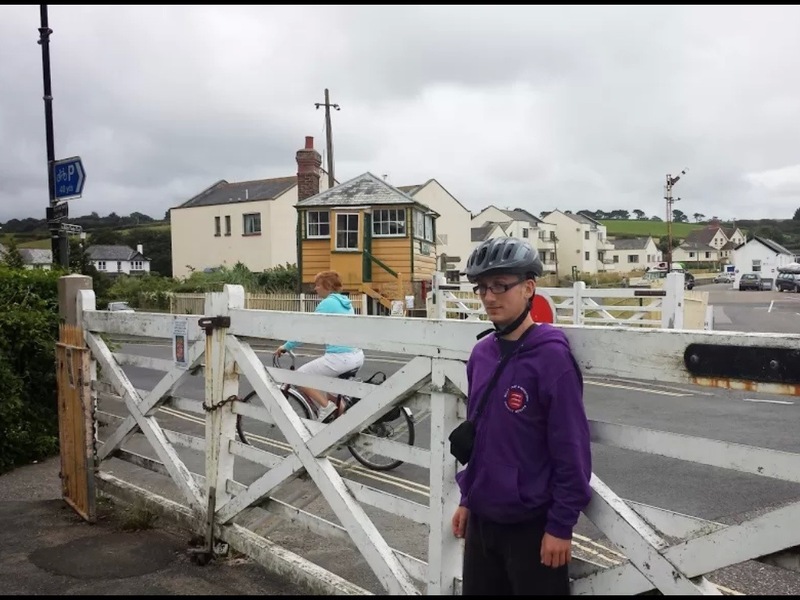 We made it first to Instow level crossing and eventually Fremington Quay both places that featured in the James May Toy story with model trains. A refreshing chocolate ice cream and we returned. Fremington – as the picture says. Then as we left the hire shop a young man started to feel weary. 14 miles cycled, further than I thought we would do. Rain forecast and rain it did. So I planned my own cycle adventure in the opposite direction. 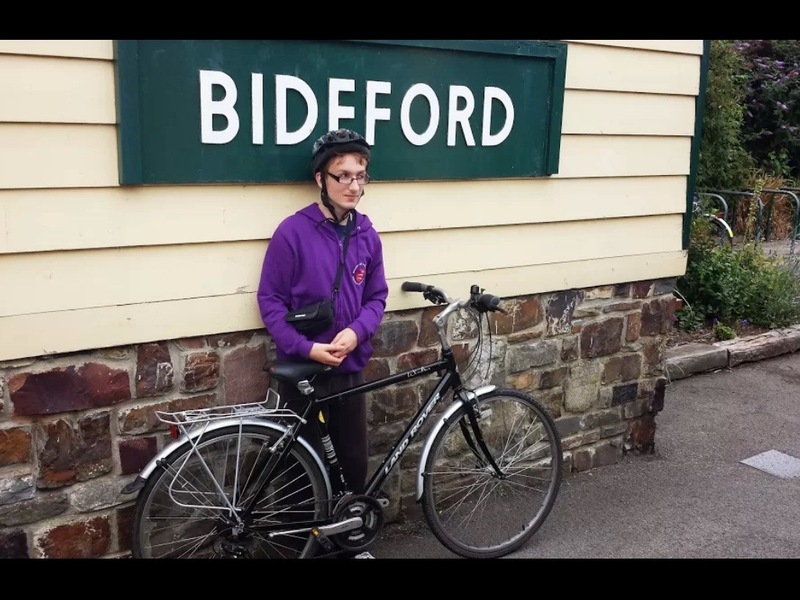 I went from Bideford to Petrockstowe station and back (26 miles in total). I stopped for cake and tea at Yarde Orchard with Yurts and an Eco-bunkhouse. On the way back the gradient was in my favour. In the afternoon we drove to Appledore and visited the Maritime museum. 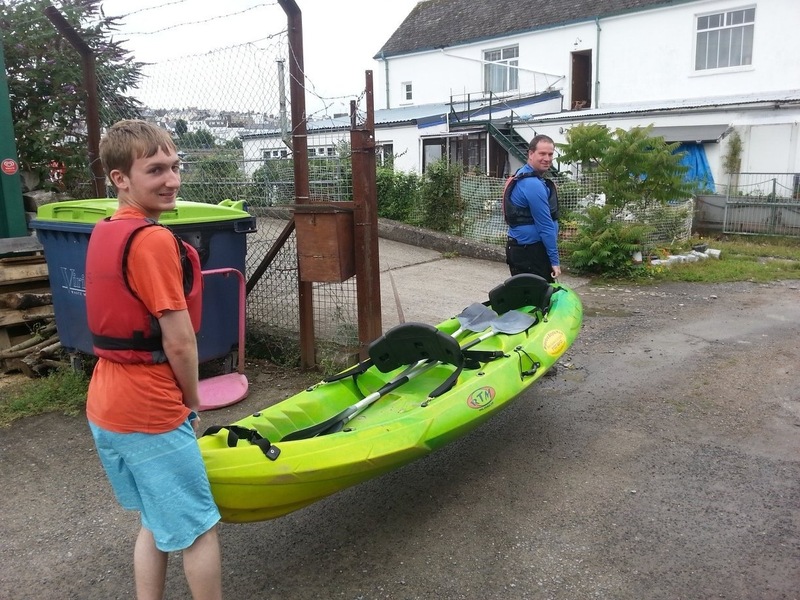 Kayaking day for Knilly males and shopping for Knilly female. We were photographed getting onto the water. We paddled about 5km in total, well I paddled about 8-9 km and my assistant joined in for the rest. We saw Cormorants, gulls and herons along the river banks. The nice part was high tide meant we couldn’t leave until 11.15 so a lazy morning. The afternoon saw us enjoying a cream tea or retrieving Mrs K’s cardigan left in cafe am- you decide. Young Knilly is shattered! advised to have a lie in while Mum and Dad go for a cooked breakfast and then on our return, a walk on the Tarka Trail to the bridge we had kayaked beneath at Landcross yesterday. The sun was coming out and the weather warming up. I looked wistfully at the river and on arriving back at the cottage abandoned my rest day plans and went for a single kayak – 90 minutes and the same route covered (planned rest day abandoned). We had some refreshments in the garden where it was now very warm. Then we took part in eldest’s CPA meeting by conference call. The evening promises a meal at bistro at the other end of the street. 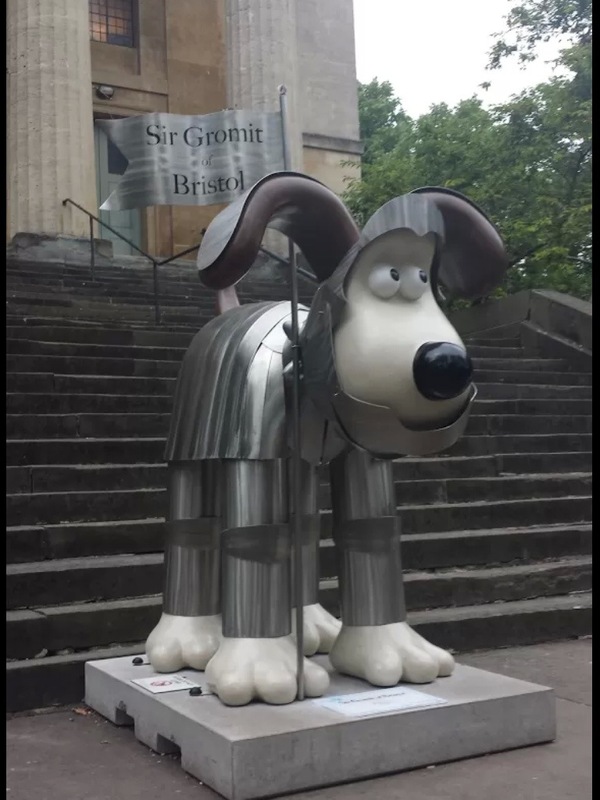 Driving home via #Bristoltweetup also know as an excuse to go Gromit hunting in Bristol. First full day in Devon. Let’s go for a walk. We had agreed that we wanted (parents!) to visit Appledore where we had also considered a cottage. How far is it came the condition? Using the map I came up with an estimate of about 6 miles there and back (would my map based as the crow flies be reasonable?). 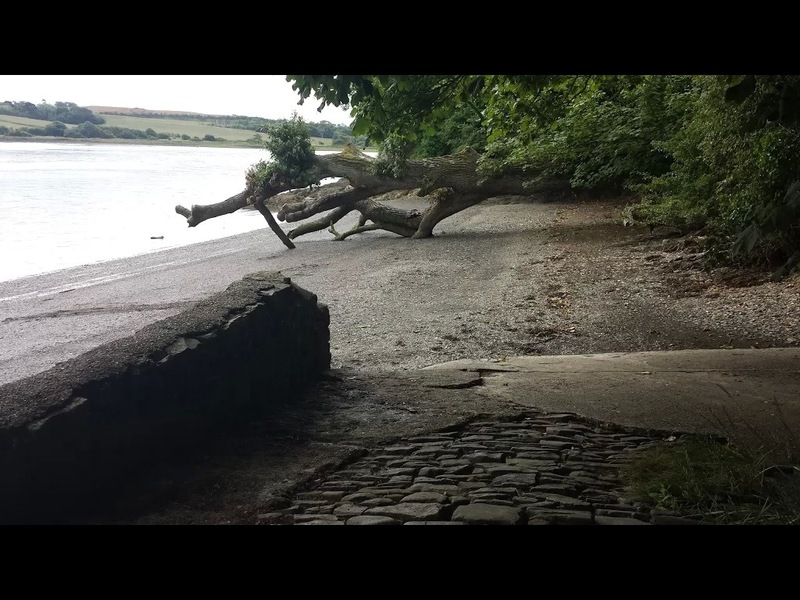 The River Torridge was at High Tide as we left at about 10am. We crossed the Old Bridge and made our way along the quay. 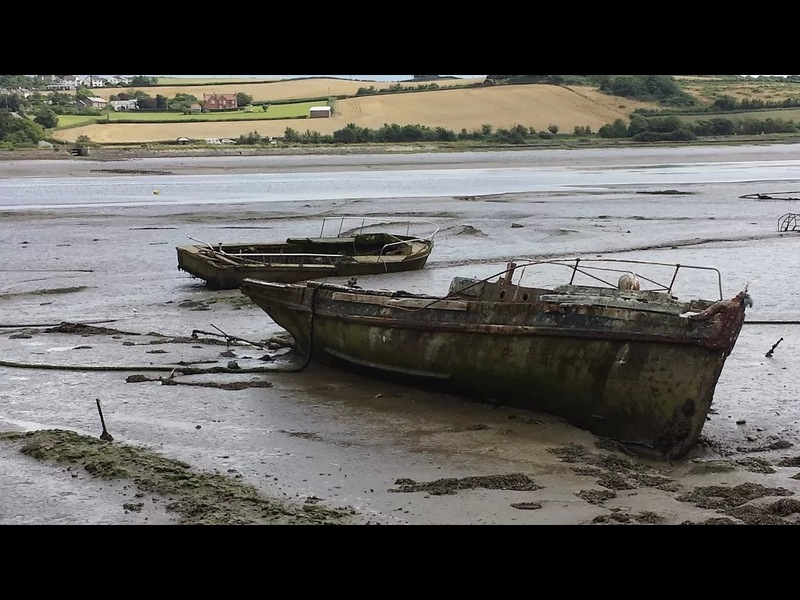 Boats came in all different sizes and as the picture shows different states of seaworthiness! The path follows the quay, then skirts Victoria Park where there is provision for lots of sports. The path goes inland around the District council offices. Through and around housing. Views from the houses at ground level are obscured by an important flood wall. We start to head inland as larger houses take pride of place on the river bank. We walk up old tracks, down passageways to return to the water’s edge. We go under the new road bridge high above us. 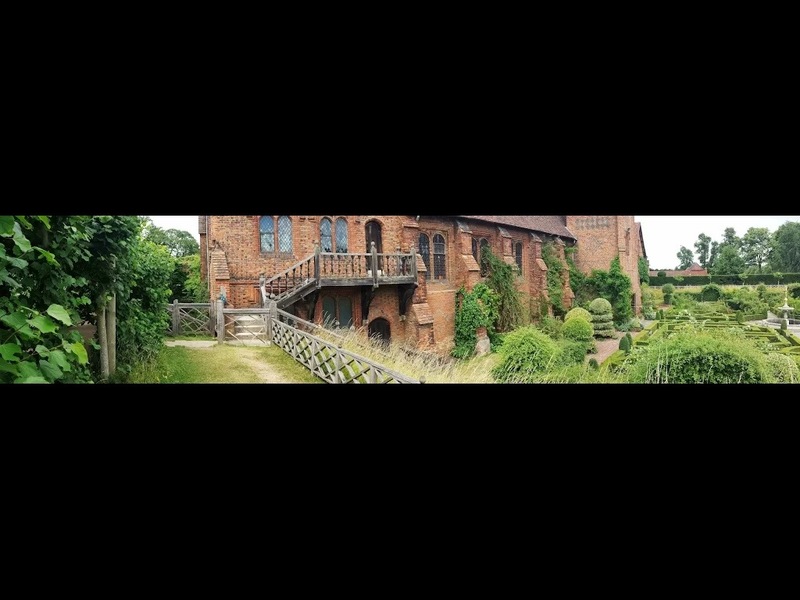 The picture distortion is from the panorama camera setting. The path continues, in the distance beyond some wooded cliffs we can see the boatyard near Appledore. The path climbs and dips as we make our way through the woodland and along the edge of farmland. Some work on drainage is being down where the path crosses stream valleys. I have a theory about why these are sited on the path but I would like your feedback. The picture will be used as a starter activity in the next school year. As the path rises and falls we come across beaches with alternative low and high tide paths. The road into Appledore tracks through the industrial end of town. 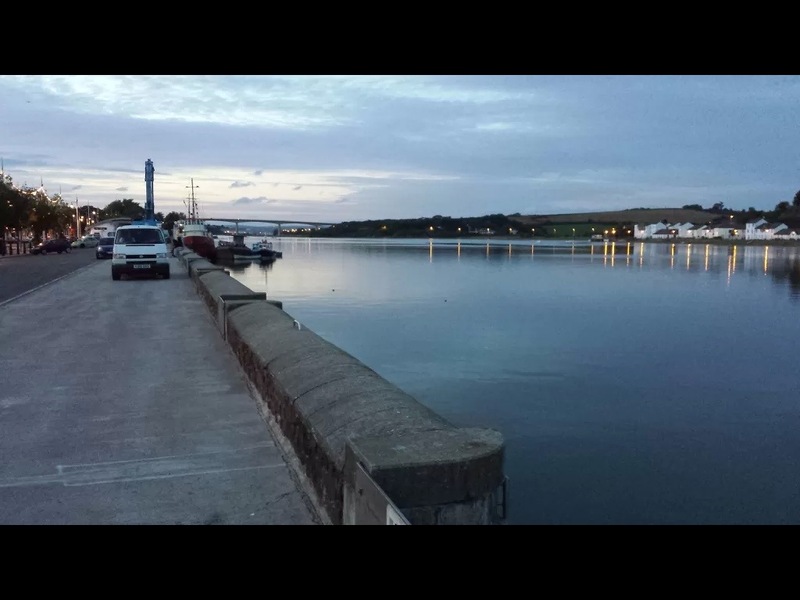 We arrive in Appledore, lots of cottages and narrow lanes and a busy quay. We walked around, explored ate and then walked back. Both journeys took about 80 minutes but the return journey felt much shorter. The sun was now out as we returned across the river. I hope you enjoyed our journey – the chronology of the images is incorrect. The holiday continues as does the informal CPD. Today. I finished my second book reading. Oops! had been recommended by a number of tweeters and the idea of luring children or staff for that matter into learning reflects on my own practice. I am one of those teachers who sees curriculum opportunities everywhere I go, not necessarily from my geographical perspective. Some colleagues do not understand why or how I do this but my family are used to the photos,videos links I find wherever we are. For me this book confirms the importance of creativity but linked to a structural underpinning that also came up in the #ukedchat tonight (8/8/13) http://ukedchat.com/2013/08/08/session-163/ . If you like to explore possibilities, you like examples others have tried then take a look I can heartily recommend this read. Ok, son has returned from camp, we have rested for a day. Now a trip out together to look at and ride on trains. This outing is based around Birchley railway which we have visited on and off for a number of years. The house is now up for sale and has featured in The Telegraph, on BBC South East and this steaming may be the last ever. We set off in the morning when the Dartford crossing would be less busy. 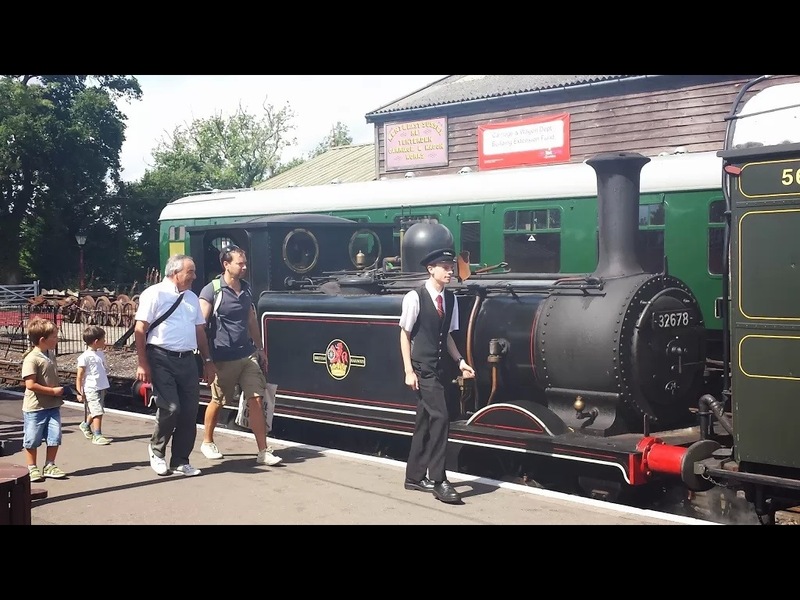 Traffic was good and we got to Tenterden, Kent by 11.30 for a platform ticket visit to the Kent and East Sussex Railway which our son has never visited. 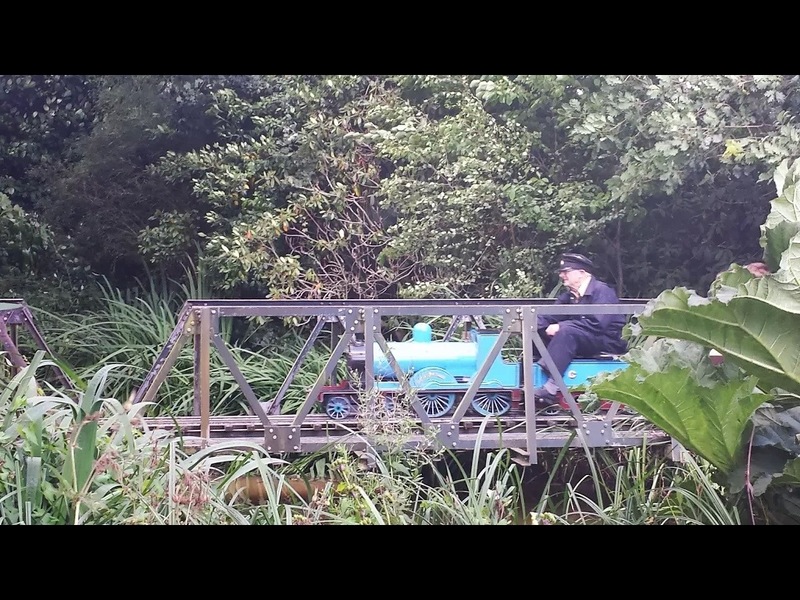 He set himself up to video trains for the movies he makes and posts on YouTube. We went for refreshments and a look around. We watched the first train of the day set off to Bodiam and found out from the Birchley site that the steaming was from noon, so set off earlier so we could get a parking space. We drove through the lanes to approach, not our usual route through Biddenden village. Parking was not an issue, as it was in a separate field. We went into Birchley and paid our entrance fee (fund raising for Duchenne Muscular Dystrophy). Son went off to film / help / watch and we set off up the drive. A great afternoon was spent watching trains, engaged in conversations about the house (unfortunately out of our price range and at son’s pocket money it would take him 3,743 years to pay without interest ). Lots of photo opportunities,as the crowds thinned around 5.30 pm he got a chance to drive Thumper the diesel loco. I will label the photos as best I can and when a total is announced for the charity I will add it to the post. Drummond and Jennifer Randall,we thank you for many happy visits riding the trains and enjoying your lovely gardens. The house with gazebos for the cake stalls, tombolas and barbecue. Birchley, this end of the building dates from the 16th century and has 5 acres of gardens. The house is divided into three sections. Two of which are not for sale. 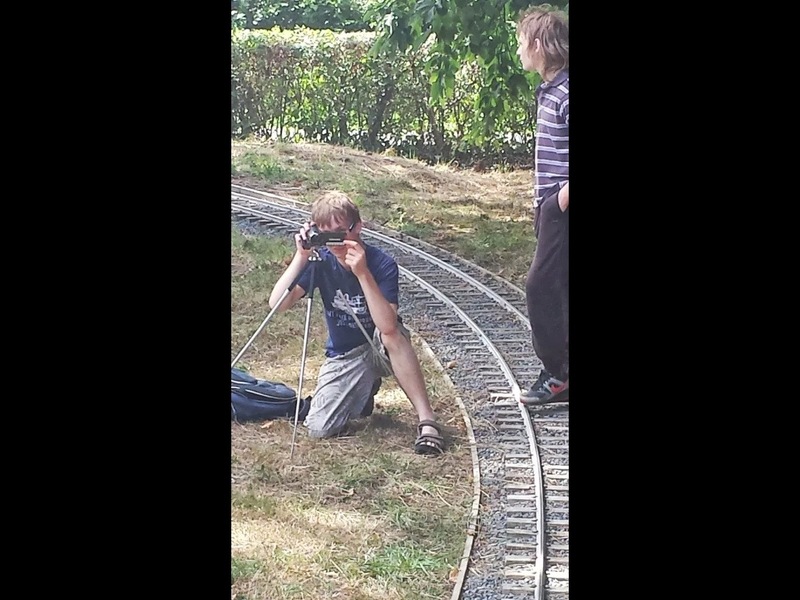 Son in filming mode- very focused. The younger enthusiasts exchange the roles of turntable pushers and signalman on the points. With 5 trains running this is important. The trains around the layout ( in total about one mile of track). Son had a chance to drive this on a previous visit. Crowborough who struggled on the incline a few times to get up the hill with occasional guard pushing. Dunalastair, driven over the pond bridge by Drummond himself. Tonbridge who my wife and I had our “last circuit” on again driven by Drummond who drives a mean incline. 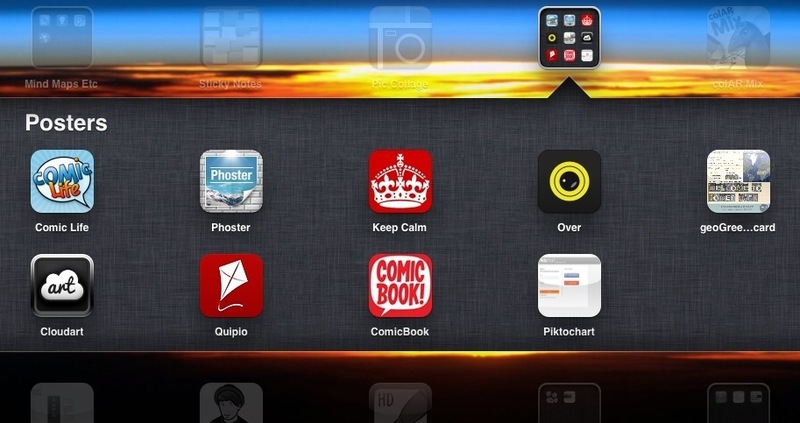 Pics are missing included in first draft. This will be corrected before second post. Photos moved about the cloud and now in post. So we are now two weeks into the summer break and generally I am relaxed. As previous posts have shown I have my ups and downs. So, this holiday has one clear link to 2012 as eldest is in hospital once again. However, second time around is easier and there was a lead in before the hols. started this time. Which means when youngest goes away to camp for a week there is a chance to relax. My wife has been before, but this was my first visit. We started with refreshments in the stables / yard – a good impression already. 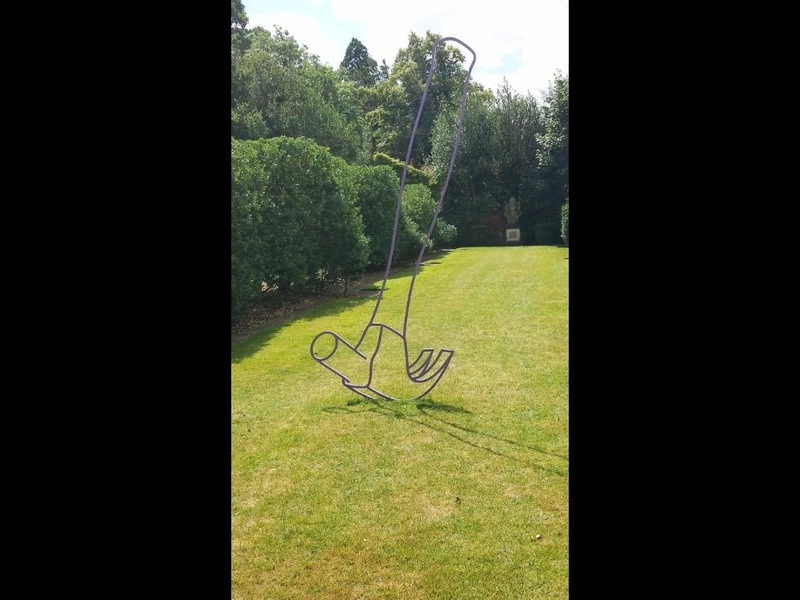 Into the grounds and we started with the gardens with some RA sculptors works. The photos are included are labelled by me, if inaccurate please correct me. 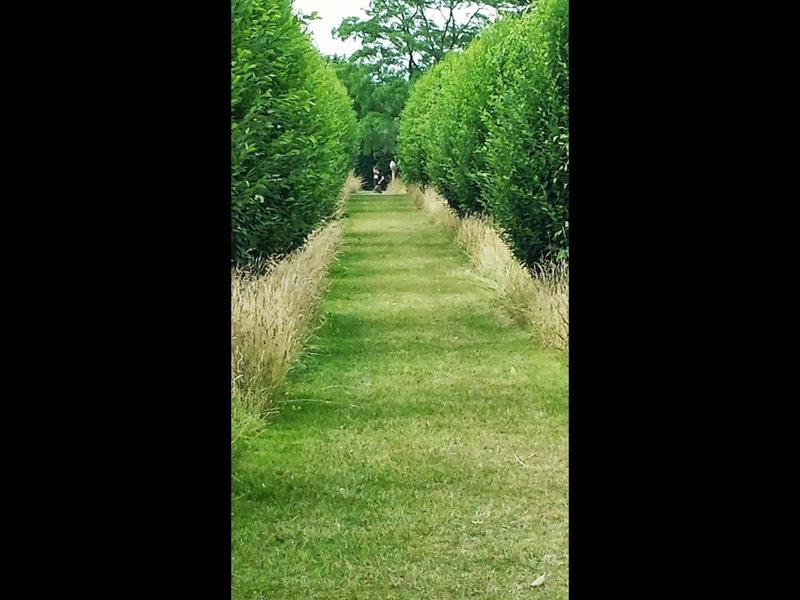 The garden has a series of these fabulous shaded pathways behind the Old Palace where Elizabeth I spent some of her childhood. Today the building was closed for a wedding what a fabulous setting. 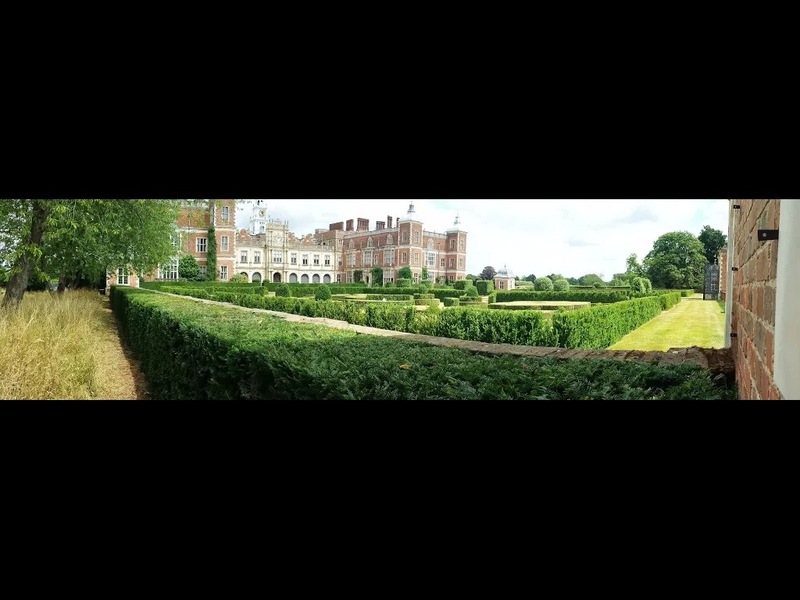 The knot garden looked great and what a setting for photos. A frieze of the Elizabethan court apparently. Then into the section with the longitude dial (no picture) which was fascinating to read about. 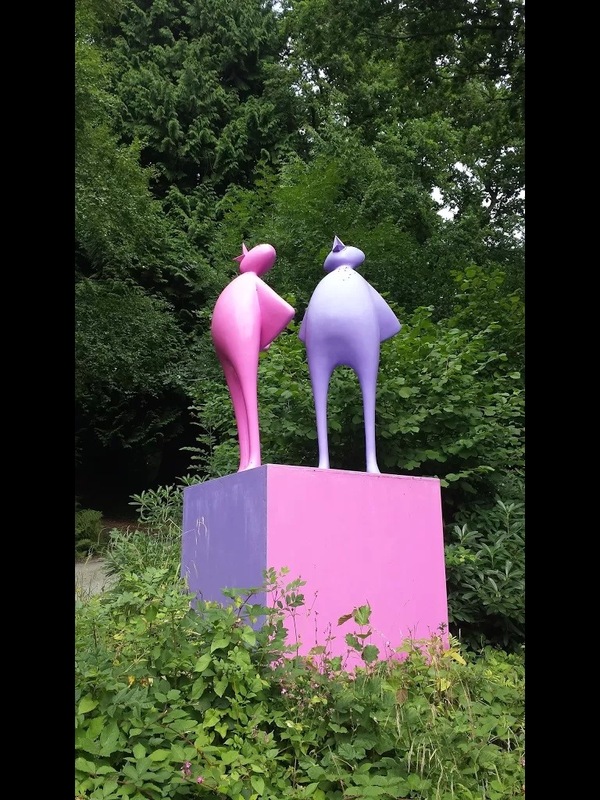 Then the sculptures started to be found. Their settings were good as they complimented or contrasted with the manicured or wilder woodland sections. Hammer – which except within a few feet appeared to be 3 dimensional. The next, which from a distance was like a spacecraft from Dr Who had landed. As we returned from the woodland the view of the main house could be seen. No photos were taken inside the house. The guide, especially the gentleman on the Long Gallery was very informative. In the library were display cases about a ship called the Clove which had taken part in the first British trade with Japan and the 400th anniversary is this year. The linked website is http://www.japan400.com . 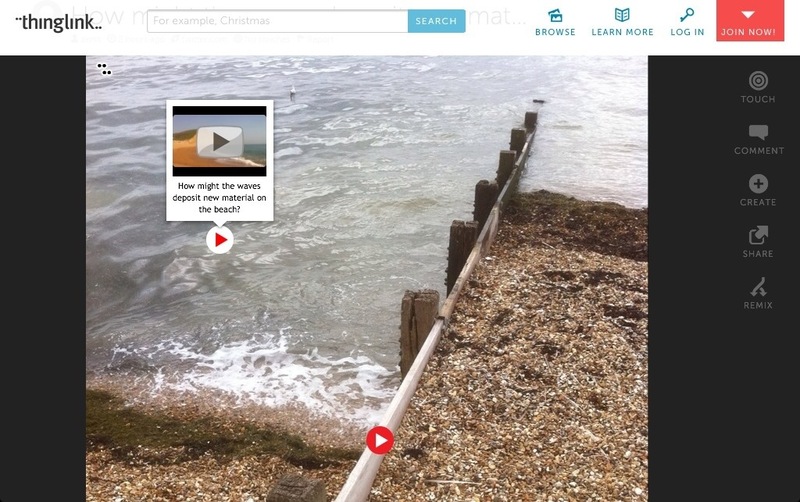 An aspect i will investigate further as a possible project link for our pre christmas unit. 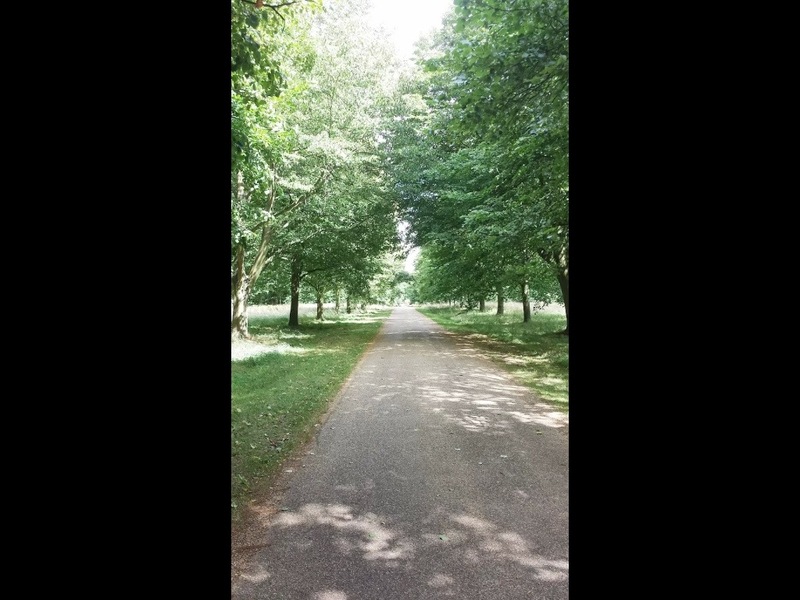 Lunch and then out to see some of the parkland with its grand avenue drives. A nostalgic drive back along the A414 and my former commuting route from Harlow homewards, used for 10 years. Tired but relaxed and a great day out. The first of two day trips to London with a promise to ourselves that we would not walk too much. We took the train to Liverpool Street with a weather forecast where the afternoon could be muggy or rain. We took the bus for views of The City. Off at St. Pauls and over the Millenium bridge. The surface was slippery telling us we had just missed a shower. A quick wander into Tate Modern but the Turbine Hall is shut off until 2014 – my favourite feature of the building. A coffee then off along the South Bank towards Tower Bridge before lunch. Remember the not walk too far – well … Borough Market with new units since I last visited (? When).To soon to eat which was a shame with the choice on offer. 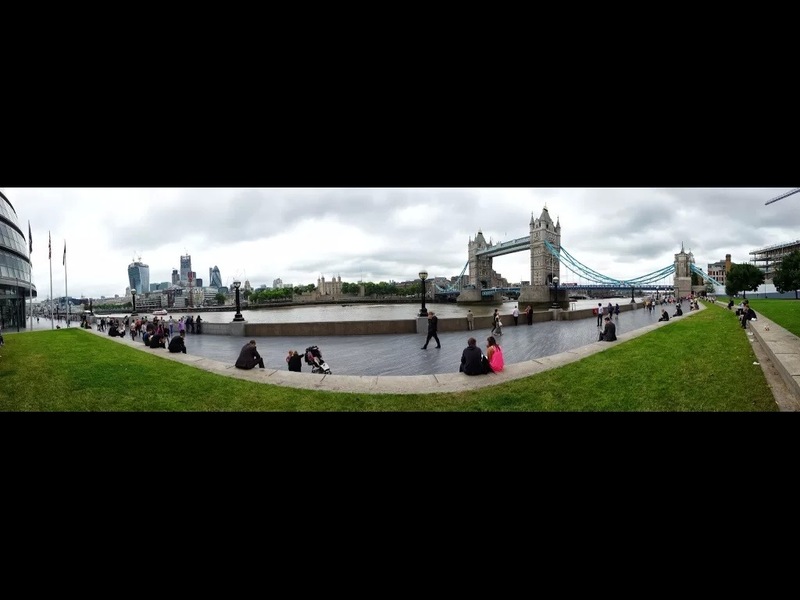 Onwards, with lunch overlooking the River Thames between Tower Bridge and the London Assembly. On the north bank was the BMW launch of their new electric car. Watching the window cleaners – there was a challenge and people watching as posed photos were taken with Tower bridge behind. 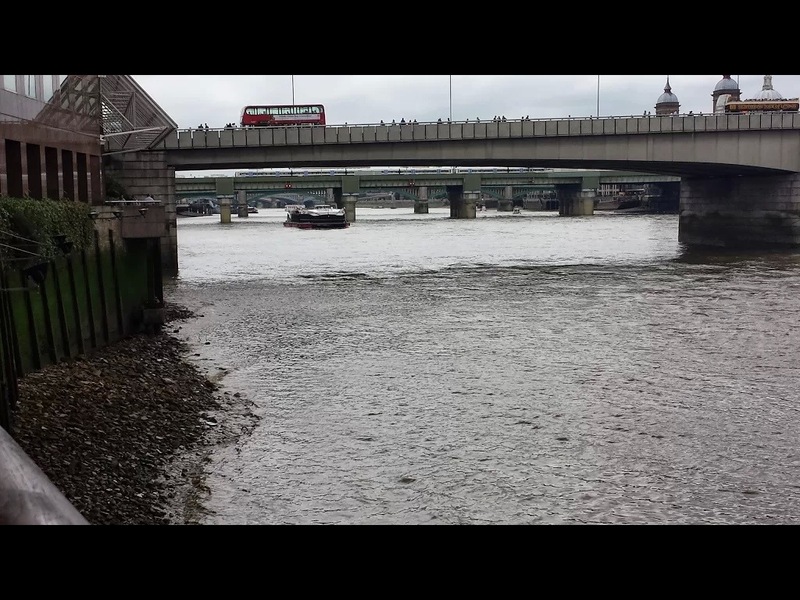 A view upstream with boats, buses and trains on or above the river. 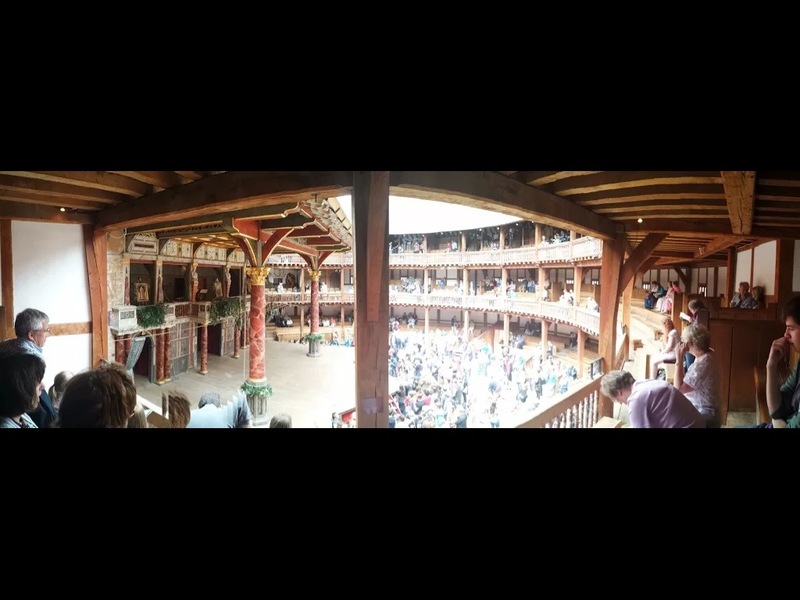 Then the Globe. A second year in a row, we were impressed by Richard III in 2012. This year it was A Midsummer’s Night Dream. 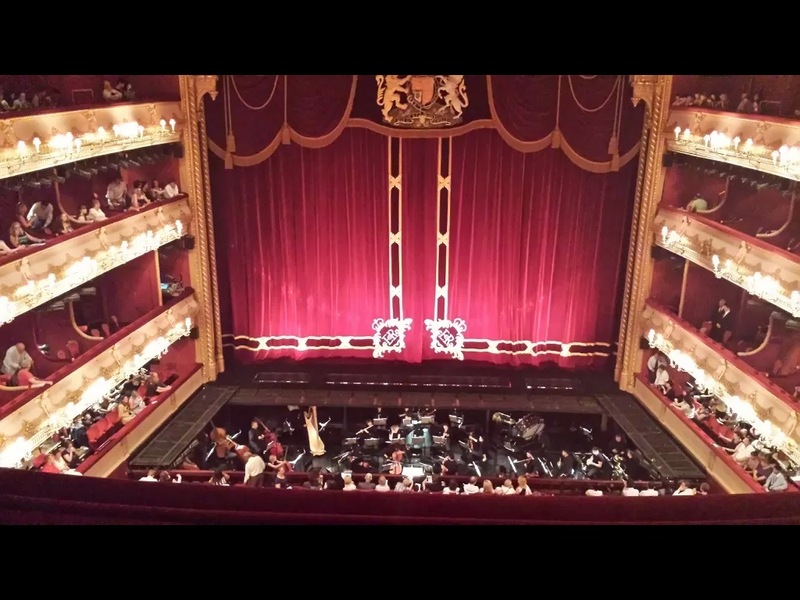 The play was fabulous and highly entertaining and again what a setting. Inside – a poster for an English classroom? 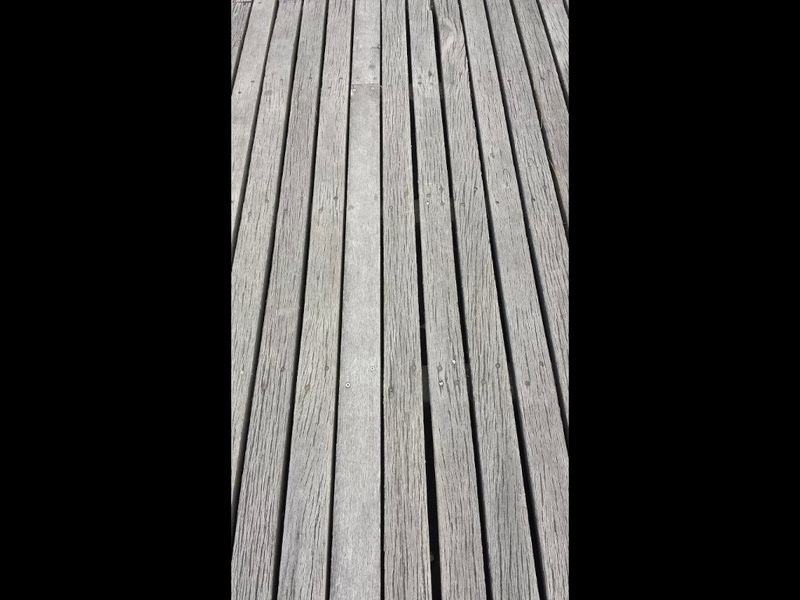 An arty pic of flooring at Oxo tower.